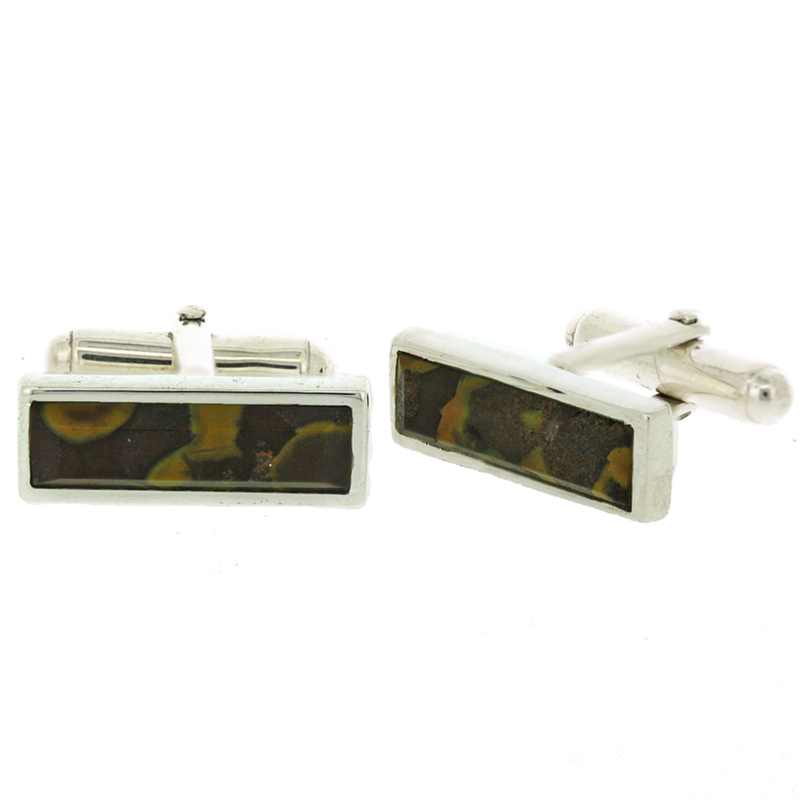 The stone and silver setting of the cufflinks measure width 7mm, height 21mm and depth 5mm. The post measures width 7mm and length 15mm and the toggle measures width 3mm and length 18mm. All measurements are approximate and measured at widest/longest points.